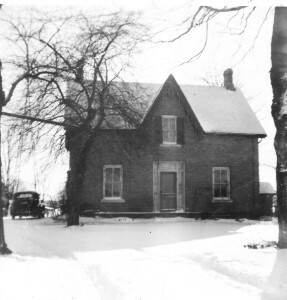 James Reaney’s birthplace and childhood home near Stratford, Ontario, February 1954. Like a small sun caught in iron armour. Close by their summery stove they crowd. All locked in Winter’s frog-cold hand. 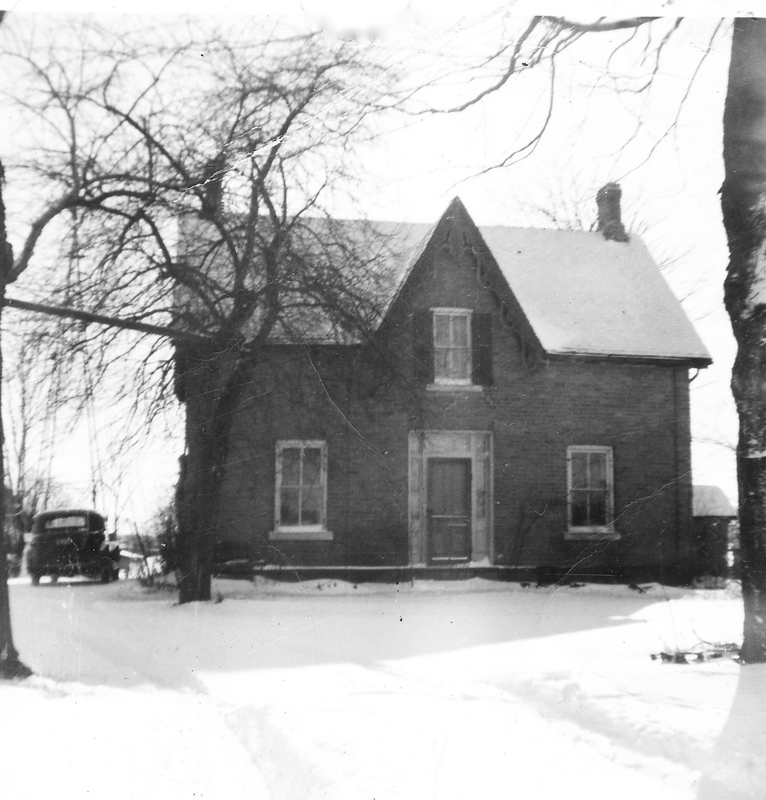 White whisks and brooms of snow. Into a harmless flat thin splash. And it blazed up again. At him and vanished into thin air. She saw a groundhog’s paw. With seven petticoats to her back. His fist at God in the sky. Till the fire alone seems to talk. And protect them from growing old. Warming them in the long winter’s cold. This poem first appeared in Contemporary Verse, 30, Winter 1949.